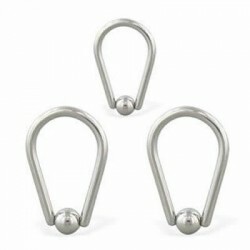 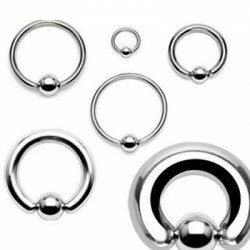 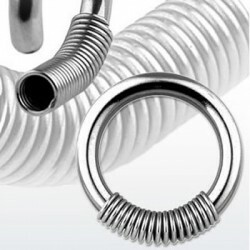 Captive Bead Rings, also known as Ball Closure Rings or CBRs, is most versatile in body jewelry. 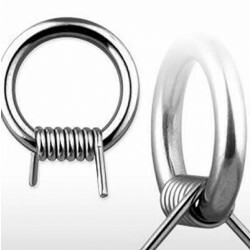 You could be wearing Captive Bead Rings almost anywhere you desire. 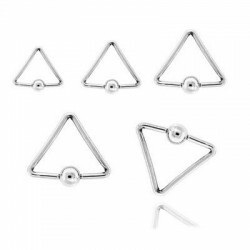 You wear as navel rings/belly rings, Nose Rings, Ear Rings, Eyebrow Rings, Lip Rings, and much more. 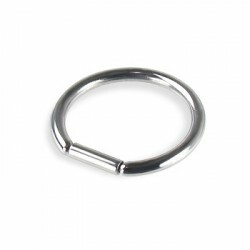 We supply vast selection captive bead rings in Surgical Steel, G23 Titanium, Acrylic UV, Flexible BIO and etc.